Computer system, especially our laptops, could be a source of much challenges. And our ability to tackle issues partaining to the PC world in a prompt and professional manner, simply keeps us outstanding. Some Pc problems can be solved via the implementation of simple maintenance trick. But there is a problem if individual lacks proper or required skills to deal with commonly faced menaces with there Pc. I remembered talking about the possible solution to the capslock of your laptop showing five blinks without coming up, it was quite a lot of fun and encouraging. Thanks to Samir, Vicky for making that post such an interactive one though. I have not had so much time to continue with my day to day online blogging business, ever since i made my last post one week ago. Sometimes problems encountered may just encourage you to give a shout out on how it was solved and who solved it. 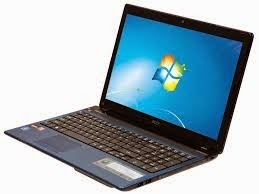 It has been observed that the commonly faced problems while using laptops, are mostly associated with the screen, motherboard or the power pack. Have you been in a situation where you were charging your laptop and it displays silly information like " Plugged in but no charging"? then i bet you have not seen no problem if such an issue has not arose in time past. Professionally, it is not advisable to fiddle with the power pack of any system if the required knowledge is lacked. Is Your Light Voltage Ok? There are several options you could look into when tackling with issues regarding power pack. You should be very careful when implementing solutions to these problems. Firstly, i think you should suspect your light voltage. Via the use of a multimeter, you can check if your system is actually getting the required flow of current. A low voltage has the capacity to mitigate the capacity of your system. Have you confirmed that? is it ok? if Yes. then i think you should go to the next option. Are you sure your adaptor is not faulty? there could be some possibility of your adaptor being the cause of your laptop displaying such message. Basically, the best option for you at this point is to make a swap. That is, swap your Laptop charger with another one that matches it and try connecting it again. If it does not function that way, please try the next step. As less suspicious as this may be, but you may be missing out this particular clue. Your battery may be damaged. I have had an encounter similar to this in the past and this was one of the root cause of the display "Plugged in but not charging." I think you should give some attention to your battery. See if it is ok and stable. You may not be suspecting this but i bet you, this may be the cause of the problem. Do you expect your laptop to be an iron? of cause no. If it does undergo severe over heating, it could trigger problems like this. You are actually a problem solver if you could leave it to cool for some minutes. Do you have any other tips to lay suspicion on? then make use of the comment box below. It will be of help. I'd love to hear from you. I think you better care about it now you have read about some tips from Here, or have you decided to dump it? I believe that these new laptops have got everything to be someone’s lifeline. All of them are sleek and powerful; these are amongst the best laptops I have ever come across. This is very useful article to learn about the charging issues.